Apart from enhancing the taste of food, ginger, one of the most versatile spices is also beneficial for improving hair health immensely. 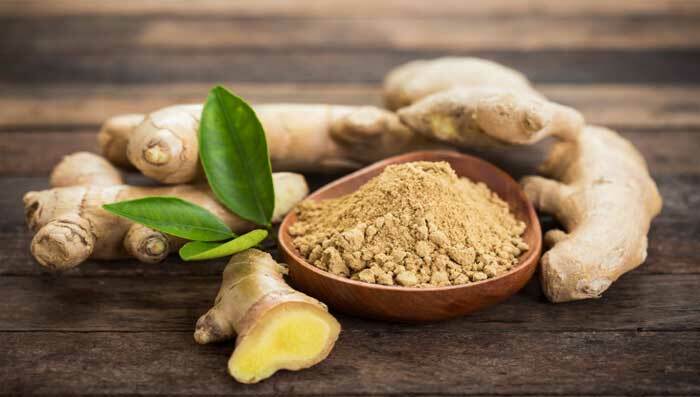 Being considered as one of nature’s true wonders, ginger for hair growth has been used over centuries for helping overcome various hair issues like dandruff, scalp itching, hair fall, dryness etc. Ginger for hair remedies include aiding blood circulation to the scalp, stimulating hair follicles and cells to encourage growth and making hair thick and healthy. There are various home remedies one can follow using ginger for hair that help to magically transform your hair from drab to fab. Both ginger and lemon juices are acidic in nature and help in cleaning the scalp, thus aiding a healthy hair growth. Lemon is loaded with vitamin C and hence helps in invigorating the hair follicles. Amla oil is one of the best ingredients for boosting hair health. This mask, using ginger and amla oil for hair is the best concoction that keeps the hair strong, healthy & thick and the scalp clean. It’s regular use will also help in hydrating the scalp skin and improve blood circulation as well. Honey is one of the best ingredients to hydrate and naturally moisturize the scalp, promoting healthy hair follicles and cells. This mask of honey and ginger for hair is great for those with problems of itchy and dry scalp. Yogurt not only brings a cooling effect to the scalp, but also cleans it off bacteria and fungi that cause infections and itching. Yogurt also cleans the hair strands, giving them bounce and shine, acting as a natural conditioner. Both ginger and onion help tremendously in keeping hair healthy, bouncy and shiny. This is a great mask with onion and ginger for hair baldness treatment and helps in growth of new hair cells and roots. This ginger and olive oil mask works best for those with dry hair and dandruff problems. Olive oil helps loosen dandruff by naturally moisturizing the scalp skin and exfoliating it. Fenugreek or methi seeds are high in protein and nicotinic acid which helps stop hair fall and prevent bald. Use this mask with fenugreek and ginger for hair baldness prevention, by easily mixing the two wonder ingredients. Hibiscus flowers not only look good but are also great for hair health. Hibiscus strengthens the hair roots and gives the strands a natural black color. Along with ginger for hair, Hibiscus helps to bring vitality, vigor, bounce and shine to otherwise dull and brittle hair instantly. It is very comforting to find someone who can massage the scalp and oil the hair in order to get the best results. Well, one may even thing is ginger good for hair? But yes, ginger itself is a powerful ingredient to be used on hair strands and scalp for a healthy, clean and shiny look. Curry leaves are known to prevent premature graying of hair and when combined with ginger, they work wonders for hair health. Both curry leaves and ginger stimulate hair growth and promote shiny and long hair.